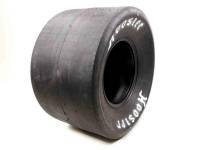 Since 1957, Hoosier has become the largest race tire manufacturer in the world and Made in the USA. 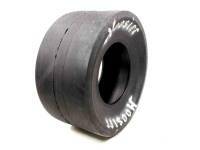 Hoosier UMP Dirt Late Model Tires are available in a variety of sizes. Pit Stop USA is The Online Motorsports Superstore! 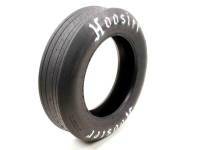 Hoosier Tire celebrated itas 50th Anniversary in 2008. It all began back in the early 50's when Robert "Bob" Newton, along with his supportive wife Joyce, began a successful racing career on the small asphalt tracks of northern Indiana. Bob, like many of his fellow drivers, was not satisfied with driving on street tires with their limited sizing options and uniformly hard tread compounds. 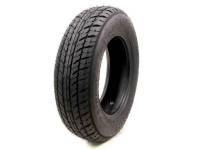 So, in 1957, Bob and Joyce decided to begin producing their own race tires by re-treading street tires with softer compounds. 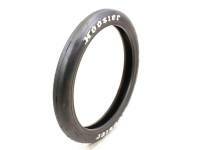 They began their business in an old abandoned horse barn in South Bend, Indiana, selling their tires to local racers. While the company had just two employees at first, it wasn't long before the business began to grow. 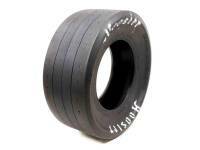 As the fledgling company began to master the available tire-making technologies, they set their sights on producing their first race tire specifically designed for racing. Then in 1979 with just a handful of employees, Bob and Joyce made a decision to build the world's first and only factory solely devoted to the production of racing tires. In 1998, Bob and Joyce made the decision to re-name "R & J Mfg. Corp.," the manufacturing side of their growing company, as "Hoosier Tire & Rubber Corp." The turn of the century also saw Hoosier Tire & Rubber Corp. complete a massive multi-year plant consolidation and upgrade program, which brought all operations together into one sprawling complex. Today, Hoosier is the largest race tire manufacturer in the world and all Hoosier race tires are still proudly "Made in the USA." The company continues to be privately owned and operated by the Newton family, and founders Bob and Joyce remain actively involved in the day-to-day operations of Hoosier as do many Newton family members. Hoosier produces over 1000 different types of race tires. 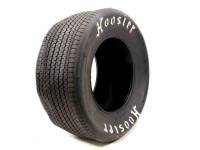 We feature Hoosier UMP Dirt Modified Tires and Hoosier UMP Dirt Late Model Tires at low everyday prices.